The list of teams interested in Patrick Sharp continues to grow. Despite his sizeable $5.9 million cap hit, the two years remaining on Sharp's deal is attractive to teams who want to win now. The Blackhawks have asked for a boatload of assets, but I have heard that the best offer they've received so far is a 2nd rounder. I was told by a source that while Craig Anderson is on the market, the Senators are more eager to move Robin Lehner. If they can't get a deal by the weekend, they will likely be patient and wait until later in the summer to make a deal. 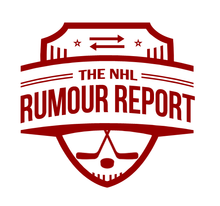 Click here for the latest Rumour Board update.